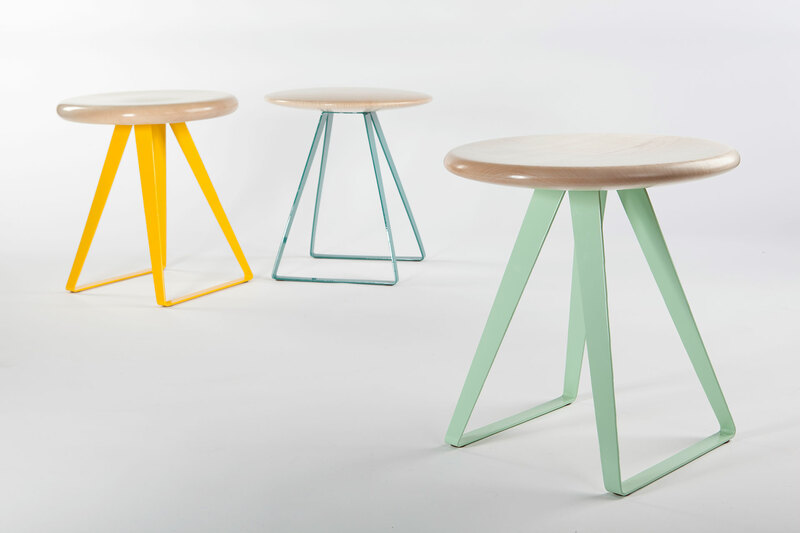 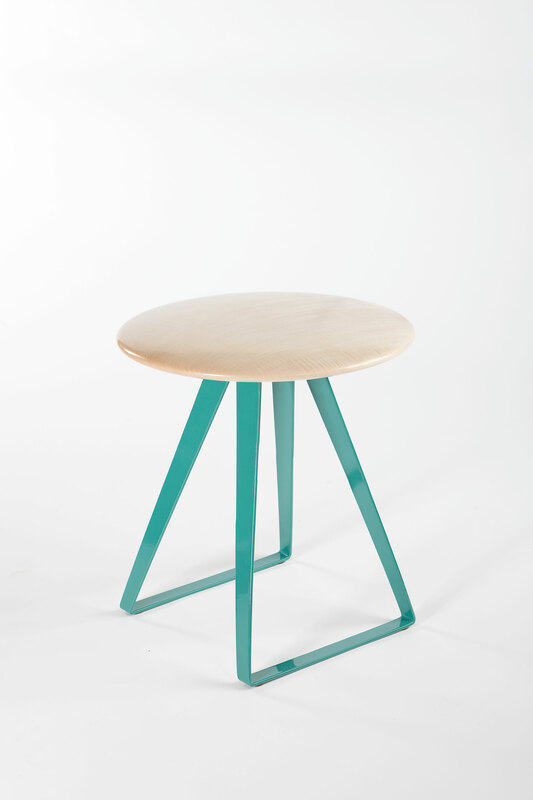 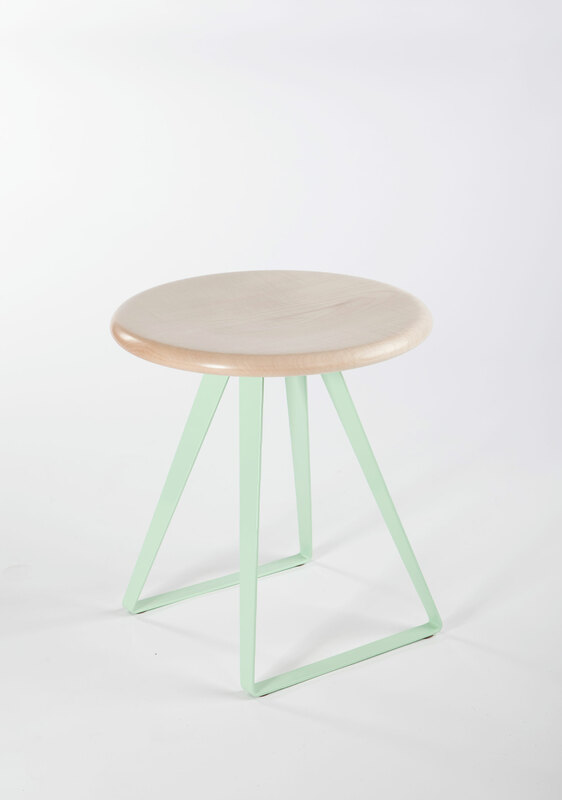 The Turn Timber Stool is a playful furniture design statement that combines traditional wood turning techniques with light, powder coated, steel framed legs. 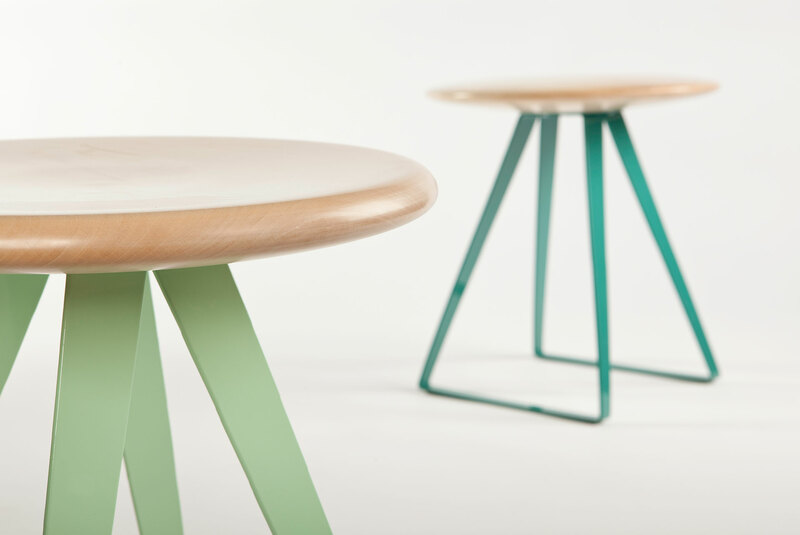 Inspired by the idea that handcrafted objects are never ‘one and the same’ the collection highlights the beauty found in human imprecision. 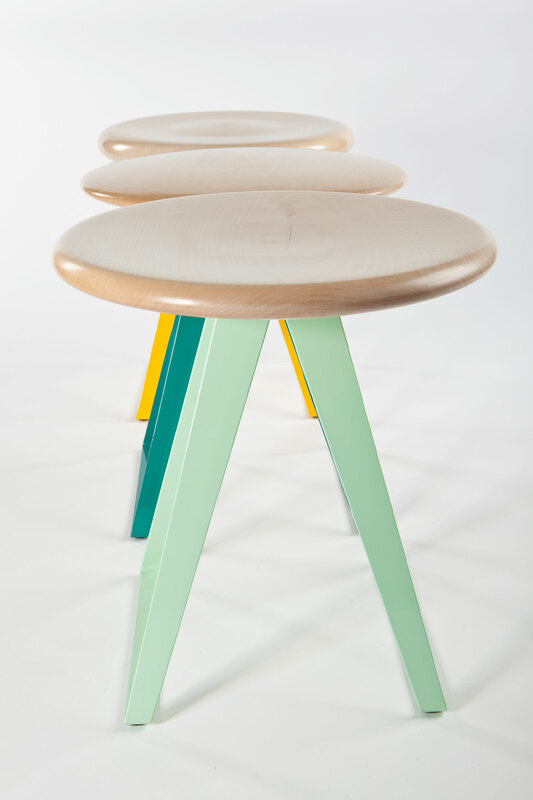 Each timber stool seat varies subtly in shape allowing for personal taste and the opportunity to own a ‘family’ of stools. 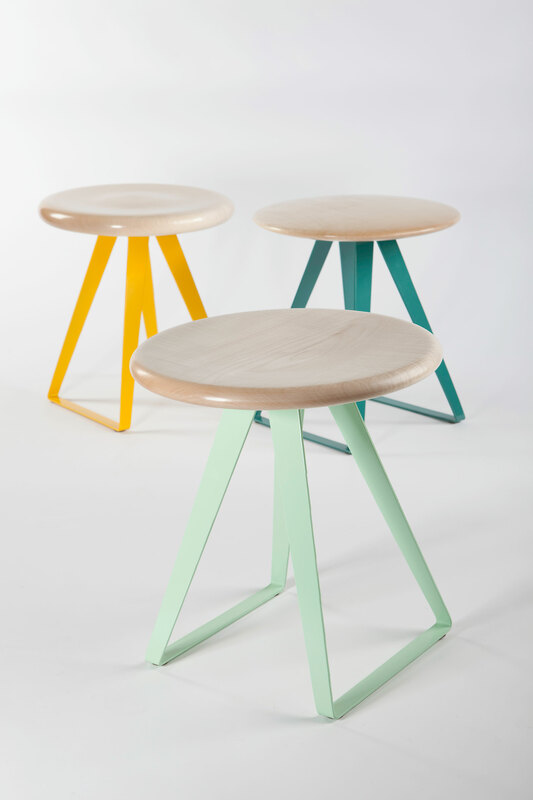 The stools are completely made in Cornwall, the timber tops are sustainable solid Sycamore and the steel legs are laser cut folded and painted and assembled in Cornwall. 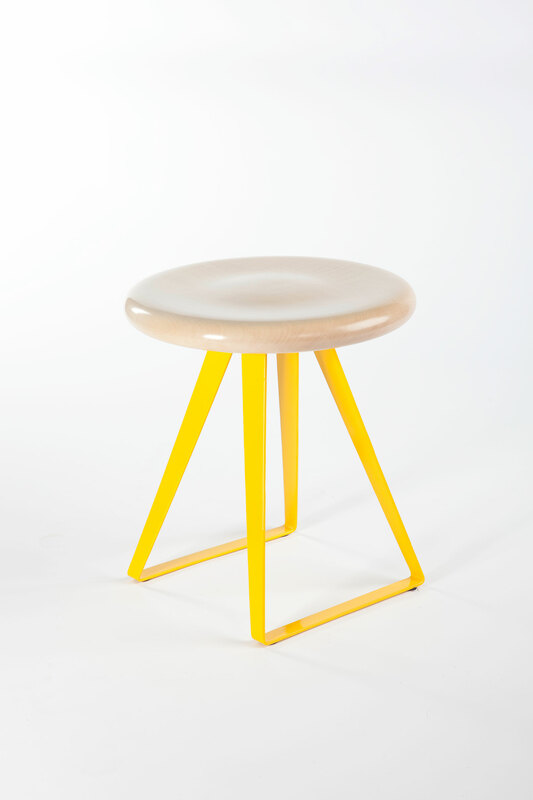 The concept marries the subtle light timber seat tops and the bold coloured steel legs to create a fun piece of furniture for the home.